Today’s highway users expect a high-quality traveling experience on roads that are safe and well maintained with the least possible delay. The Federal Highway Administration (FHWA) plays a leadership role in ensuring that innovative technologies that can improve the safety and performance of the transportation system are deployed and implemented on the Nation’s roadways. One way FHWA is leading the way is through the Accelerated Implementation and Deployment of Pavement Technologies (AID-PT) program. Congress established the program in 2012 under the Moving Ahead for Progress in the 21st Century Act (MAP-21). The purpose is to document, demonstrate, and deploy innovative pavement technologies, including their applications, performance, and benefits. In 2015, Congress continued the AID-PT program in the Fixing America’s Surface Transportation (FAST) Act, with funding available through fiscal year 2020. Central to the AID-PT program are various technology transfer and outreach efforts that deliver insights, experience, and practices to the transportation community through meaningful and cost-effective strategies, ranging from site reviews, demonstrations, and webinars to guidance documents. Transportation agencies have implemented a number of technologies in areas such as concrete overlays, asphalt pavement durability, and sustainability. In its AID-PT 2016–2017 annual report, FHWA highlights case studies that discuss the anticipated long-term improvements in cost savings, project delivery time, congestion relief, enhanced safety, and pavement performance because of the program. Specifically, FHWA is engaged in a variety of efforts to improve paving materials and deliver guidance to help highway agencies design and construct both asphalt and concrete pavements more effectively. Encouraging implementation of the methodology described in the Mechanistic-Empirical Pavement Design Guide published by the American Association of State Highway and Transportation Officials. 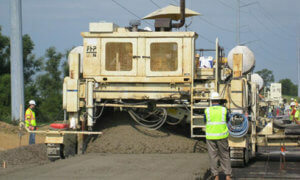 Fourteen highway agencies have implemented the procedure for asphalt pavements, while another 31 plan to implement. For concrete pavements, 13 agencies have implemented, and another 32 plan to do so. Increasing the use and application of recycled concrete aggregate in new and reconstructed pavements and the use of ground tire rubber in asphalt pavements. These practices not only save on costs but also support an overarching focus on sustainability and reduce the impact of pavements on the environment. Improving construction processes for asphalt pavements, particularly in the use of more effective compaction practices that lead to longer lasting pavements at little to no additional cost. Advancing and promoting approaches in the design of both asphalt and concrete pavement mixtures that focus on extended performance and long-term durability. With strong stakeholder support, the AID-PT program is providing benefits ranging from shorter project delivery times and less congestion to cost savings and fewer roadway fatalities. 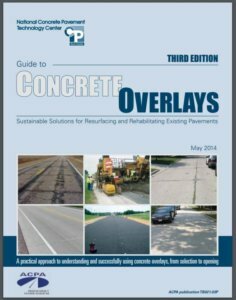 FHWA highlights concrete overlays in its AID-PT report because of its growing popularity as a sustainable, cost-effective solution for maintaining and preserving pavements. Using a concrete overlay to rehabilitate an existing pavement offers benefits that include extending service life, increasing structural capacity, reducing maintenance, and lowering life-cycle costs. As a result of a demonstration project on density, 7 of the 10 participating states are revising their specifications to help improve the performance of asphalt pavements. Forty-four state highway agencies now allow the use of recycled concrete aggregate for applications ranging from granular base and embankment fill to coarse aggregate. Thin asphalt overlays have been shown to be effective in preserving asphalt pavement structures while offering cost savings of up to 30 percent over traditional mixes. The use of concrete overlays continues to grow as a rehabilitation treatment for existing concrete and asphalt pavements, with more than 4 million square yards (3.3 million square meters) placed in 2016. 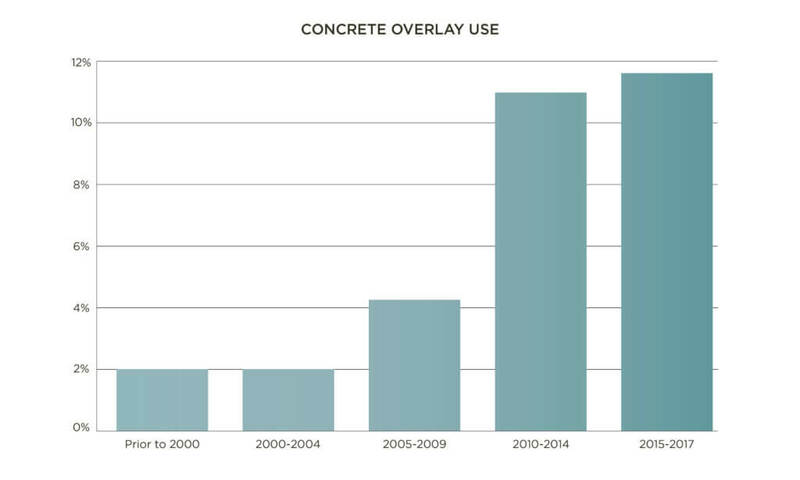 Concrete overlays as a percent of total paving work by year. 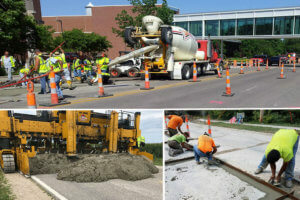 FHWA’s Concrete Overlay Field Application Program, administered by the National Concrete Pavement Technology Center (CP Tech Center) at Iowa State University, addresses questions often posed regarding this technology, including when and where to use concrete overlays and considerations for design and construction. “The goal of the program is to provide technical assistance to agencies in the overall concrete overlay process, from the selection of candidate projects through the design and construction of the project itself,” says Dale Harrington, a Civil Engineer at Snyder and Associates, the firm that oversees the program for the CP Tech Center. 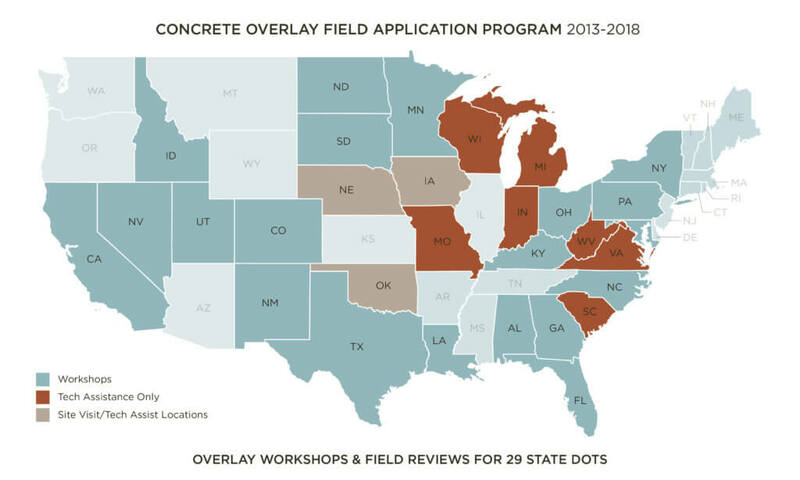 In other words, the goal is to increase awareness and knowledge among State departments of transportation and local agencies, contractors, and engineering consultants regarding how to apply concrete overlays successfully. Crews can apply either bonded or unbonded concrete overlays on top of existing asphalt, composite, and concrete pavements. If the existing pavement is in good structural condition, bonded concrete overlays can eliminate surface distress or add structural capacity. This approach requires crews to take specific steps to bond the new overlay to the existing pavement so it behaves as a single structure. 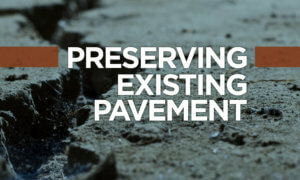 If the existing pavement has moderate to severe deterioration, unbonded concrete overlays may be used to restore structural capacity. The new overlay is separate from the existing pavement to ensure that the distress in the underlying pavement does not affect the performance of the new overlay. Participants in the Concrete Overlay Field Application Program gain firsthand knowledge of overlay solutions, enabling their agencies to reap both technical and financial dividends. “The Concrete Overlay Technical Assistance Program reviewed a 17-mile [27-kilometer] project on I–85 in North Carolina,” says Clark Morrison, state pavement design engineer with the North Carolina Department of Transportation (NCDOT). The existing pavement was a 50-year-old jointed concrete with numerous asphalt patches. NCDOT selected an unbonded concrete overlay. The team from the CP Tech Center visited the site and conducted a workshop with NCDOT engineers. Two recommendations resulted from the workshop: (1) to leave most of the existing asphalt patches in place, and (2) to use drainage fabric in lieu of a permeable asphalt drainage course—resulting in significant savings in both construction costs and time. Morrison estimates that the cost savings in full-depth repairs alone were at least $3.25 million. As more agencies gain a working knowledge of concrete overlays and experience with the technology, FHWA officials expect its use as a pavement preservation and rehabilitation alternative to grow. A number of resources are available to assist highway agencies in evaluating and applying concrete overlay solutions. Guidebooks, technical briefs, documentation of case studies, and training are just some of the resources available that cover all aspects of concrete overlays—from selection to design to construction—and for a range of applications, including highways, urban streets, and parking lots. For more information, visit www.cptechcenter.org/research/research-initiatives/overlays. Also highlighted in FHWA’s annual AID-PT report is the importance of asphalt density in the more than 9.6 million lane miles (15.4 million kilometers) that make up the U.S. highway network—one of the country’s largest assets. Keeping the system in good working order comes at a high cost. In its report to Congress, 2015 Status of the Nation’s Highways, Bridges, and Transit: Conditions & Performance (FHWA-PL-17-001), FHWA estimates that the average annual investment needed between 2013 and 2032 to maintain the condition and performance of the Nation’s highway system as a whole is $89.9 billion. Any improvements in the performance of pavement structures would help reduce the magnitude of that required annual investment. For asphalt pavements, one simple, straightforward, and relatively low-cost means of improving performance is by achieving higher density levels during construction. Higher levels of asphalt density improve the pavement’s durability, extend the service life, and delay future rehabilitation and reconstruction activities. Over the years, innovations and advancements in equipment, techniques, and technology have increased pavement performance and reduced costs. Today, engineers know that combining controlled compaction with higher in-place pavement density can have a dramatic effect on the performance of asphalt pavements. Studies have shown that increasing the density and reducing the air void content of asphalt pavements results in lower permeability, increased resistance to load-related cracking and rutting, and, ultimately, a longer pavement life. For example, one study by researchers with the National Center for Asphalt Technology at Auburn University found that an increase in compaction resulting in a 1-percent decrease in the air void content can provide an 8- to 44-percent increase in fatigue life and a 7- to 66-percent increase in rutting performance, based on both laboratory and field data. Comparing the estimated life-cycle cost of an asphalt pavement overlay constructed at 92 percent of maximum theoretical density to a similar overlay constructed at 93 percent shows the potential savings made possible by increasing the minimum required in-place density by only 1 percent. Using a conservative 10-percent increase in service life, the FHWA-sponsored report Enhanced Compaction to Improve Durability and Extend Pavement Service Life: A Literature Review (NCAT Report No. 16-02) cites a cost savings in net present value of $88,000 on a $1 million paving project. Contractors have the ability to achieve higher densities through increased compaction, but excessive compaction may damage the pavement. Fortunately, recent improvements such as warm-mix asphalt technologies (which improve mixture workability), intelligent compaction, high-tech pavers, and quality control processes have made it possible to achieve higher in-place density while avoiding that risk. And, unlike other methods to achieve increased pavement performance that involve costlier materials or construction practices, additional in-place pavement density does not add significantly to the cost in order to gain substantial performance improvement. In 2016, after recognizing the importance of in-place density in building cost-effective, long-lasting asphalt pavements, FHWA initiated a demonstration project called Enhanced Durability Through Increased In-Place Pavement Density. The objective was to demonstrate that the in-place density required to improve the performance of asphalt pavement could be achieved without a significant increase in construction costs. Through an application process, FHWA selected ten states to construct test sections and participate in the demonstration. At each demonstration site, crews constructed one standard section as a control and one or two test sections with increased density. Each state also constructed additional test sections with alternative approaches for improving the pavement density. These alternatives involved a number of recent technological improvements, such as warm-mix asphalt, intelligent compaction, rolling density meters, and infrared imaging. 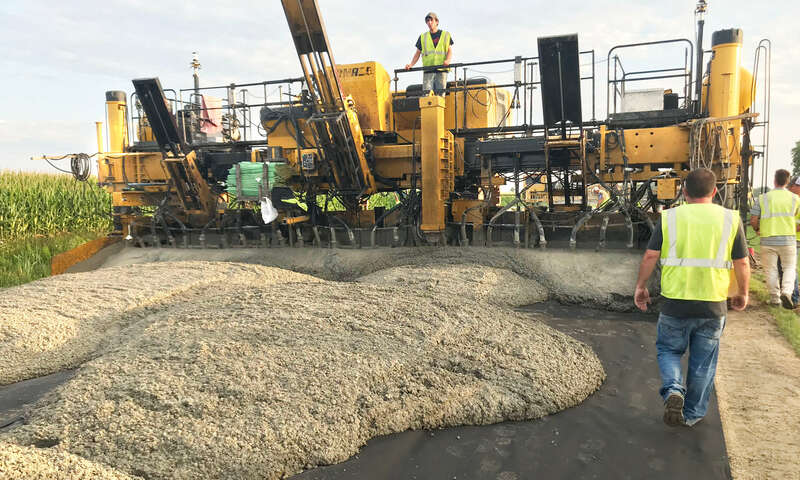 Other alternatives tested included the more conventional changes in practice such as additional roller compactors, material transfer vehicles, and improvements to asphalt mixture design, material selection, and quality assurance plans. From all accounts, the demonstration project has been a success. The key finding was that crews could effectively improve in-place density, with 8 of the 10 states achieving increased densities by at least 1 percent on their projects. Improve specifications to either include incentives or increase existing incentives for contractors to achieve higher in-place densities. Adjust mixture designs to obtain slightly higher asphalt contents. Strive for greater consistency in mixture temperatures, paver speeds, and roller patterns. Employ new technologies such as warm-mix asphalt, infrared imaging, rolling density meters, and intelligent compaction. Key to the success of the demonstration projects was the partnership that FHWA established with industry, as well as the state highway agencies and contractors in the participating states. The National Center for Asphalt Technology and the Asphalt Institute provided workshop training, assistance with mixture designs and preconstruction meetings, construction monitoring, and documentation support. The primary goal of the workshops was to present best practices for achieving pavement compaction without resorting to the use of additional compaction equipment or higher cost compaction technology. The feedback on the one-day workshop from the participating states was so positive that the workshop was later delivered to an additional 18 states. Together, more than 1,400 participants from federal and state transportation agencies and industry organizations benefitted from the training. For more information on the findings of the demonstration projects, visit http://eng.auburn.edu/research/centers/ncat/files/technical-reports/rep17-05.pdf. Another highlight in the AID-PT annual report is FHWA’s Sustainable Pavements Program. This program supports highway agencies as they work to meet environmental, social, and economic goals. The program aims to advance the knowledge and practice of designing, constructing, and maintaining more sustainable pavements through stakeholder engagement, education, and the development of guidance and tools. The program defines a sustainable pavement as one that fits the location and climate, uses locally available materials when possible, and meets an agency’s design and performance goals. With the help of a technical working group, FHWA’s Sustainable Pavements Program is putting knowledge into action. Here is a closer look at some of the program’s major activities. At the heart of the program is the Sustainable Pavements Technical Working Group. With 20 members representing federal, state, and local transportation agencies, as well as industry and academia partners, and more than 300 “friends,” the working group provides overall technical input for the program and helps raise awareness of sustainability issues among pavement professionals. The group meets twice a year to share information through technical presentations, reviews of technical documents, and breakout and roundtable discussions. Recent meetings have covered such topics as pavement life-cycle assessment and pavement-vehicle interaction. To provide best practices and hands-on guidance, FHWA has produced a variety of reference materials and training opportunities. The program’s hallmark deliverable is Towards Sustainable Pavement Systems: A Reference Document (FHWA-HIF-15-002). The document provides an overview of key concepts and advice on how to make paving practices more sustainable. For example, it encourages agencies to consider the entire life cycle, from mining the materials and transporting them to the site through the design, construction, use phases, and end of the pavement’s life. It also advises agencies to recognize that there is no one-size-fits-all approach to pavement sustainability; to embrace tradeoffs between economic, environmental, and societal factors; and to aspire to improve sustainability from project to project over the long term. The Sustainable Pavements Program also developed a framework for assessing the life-cycle environmental impacts of pavement systems. The Pavement Life Cycle Assessment Framework (FHWA-HIF-16-014) is an important first step in the implementation and adoption of life-cycle assessment principles. Highway agencies and pavement and materials professionals are using this document to help guide the development of life-cycle assessment tools. FHWA recently developed a strategic Sustainable Pavements Program Road Map (FHWA-HIF-17-029) that provides a focused direction for 2015–2020. The road map highlights topics and deliverables that can have a meaningful effect on advancing sustainability considerations within the pavement community. The contents are organized into four broad goal areas, each of which includes processes and actions that advance the state of the practice toward sustainability. For more information, visit www.fhwa.dot.gov/pavement/sustainability/hif17029.pdf. Adopting more sustainable practices yields a variety of benefits, not just for the environment but also for agencies’ bottom lines. For example, in the reconstruction of the Jane Addams Memorial Tollway (I–90), the Illinois Tollway documented the reuse of nearly 1.2 million tons (1.1 million metric tons) of recycled materials, including aggregate and both asphalt and concrete pavements, from the project site. Similarly, the Illinois Department of Transportation documented the recycling of more than 2 million tons (1.8 million metric tons) of materials during the 2015 construction season. Recycling and reusing materials reduces the demand for virgin materials and the related transport and energy costs. Reusing materials also yields significant environmental benefits and cost savings at the national level. According to a survey conducted by FHWA and the National Asphalt Pavement Association, during the 2016 construction season more than 76.9 million tons (69.7 million metric tons) of reclaimed asphalt pavement and nearly 1.4 million tons (1.3 million metric tons) of recycled asphalt shingles were put to use in new pavements in the United States, saving taxpayers more than $2.1 billion compared to the cost of using traditional paving materials. Further, the American Road & Transportation Builders Association estimates that the use of fly ash—a byproduct of coal-burning power plants—as a replacement for cement in concrete paving mixtures saved $2.3 billion over a 5-year period. The Sustainable Pavements Program will continue to support highway agencies as they incorporate sustainability considerations in their day-to-day operations. On the horizon, FHWA plans to produce additional guidance documents, create a simple life-cycle assessment calculator, and develop case studies highlighting best practices for sustainable pavements. Through strategic partnerships with highway agencies and others across the paving community, FHWA is leveraging Federal investments to maximize the impact of the AID-PT program and amplifying the benefits to the traveling public. The full AID-PT report is available at www.fhwa.dot.gov/Pavement/pubs/hif17047.pdf. Gina Ahlstrom is the pavement materials team leader at FHWA in Washington, DC. She is responsible for policies, standards, technical and program assistance, and deployment of innovative technologies. She received a B.S. in civil engineering from the Pennsylvania State University and an M.S. in civil engineering from the University of Maryland, College Park. For more information, visit www.fhwa.dot.gov/pavement or contact Gina Ahlstrom at 202–366–4612 or gina.ahlstrom@dot.gov. This article has been reprinted with permission from the U.S. Federal Highway Administration (Spring 2018). Click here to view the article in its original format.